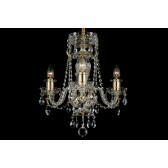 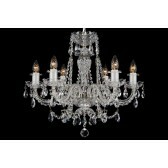 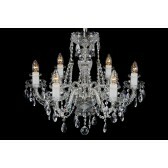 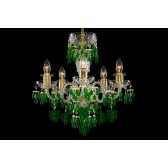 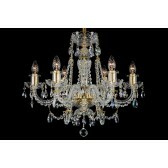 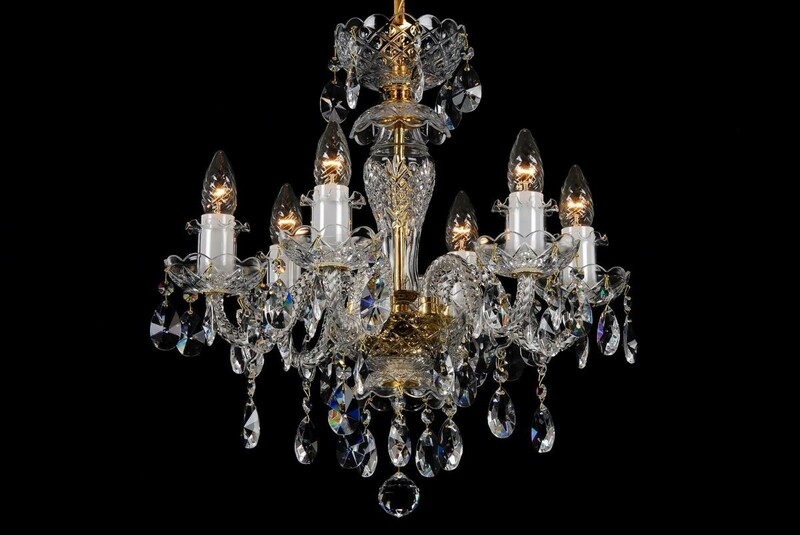 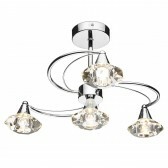 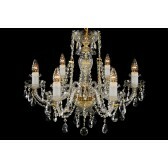 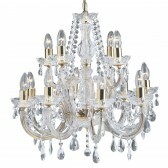 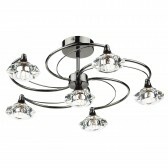 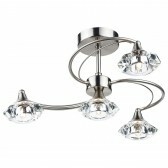 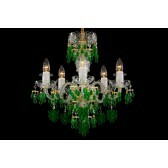 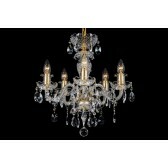 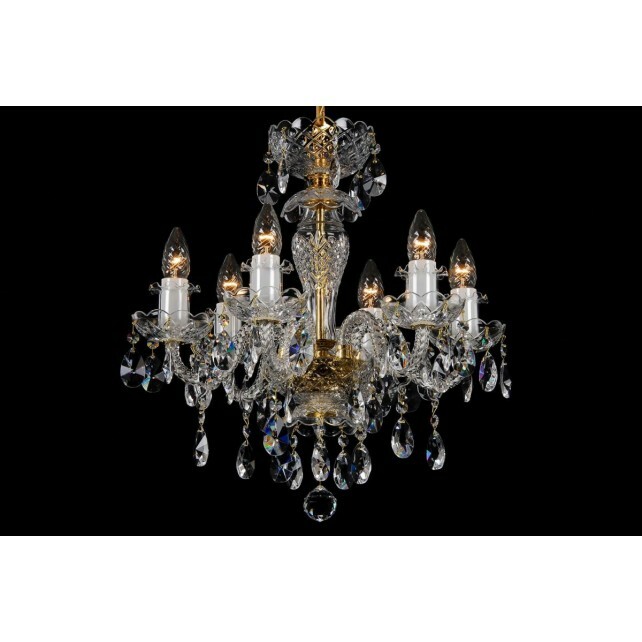 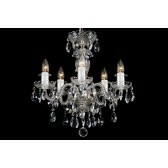 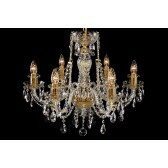 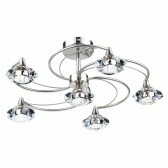 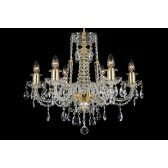 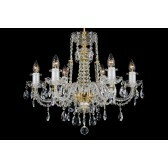 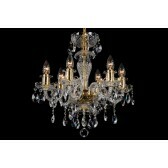 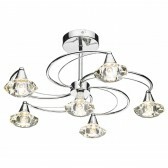 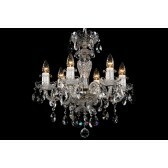 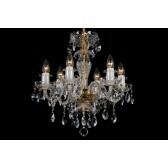 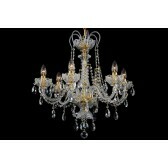 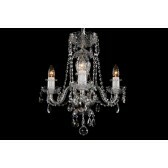 The smallest six-arm neutral crystal chandelier from the Crystal product range. 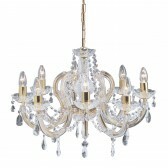 Since the chandelier has no crystal chains its single parts can stand out. This chandelier can be combined with larger ten-arm chandeliers of the same design or complemented by one-arm crystal wall lamps of the same colour.